As scientific publications and investment into skin microbiome R&D intensify, there are still fundamental bottlenecks in truly understanding the underlying biology of host-microbiome interactions, standardization of basic research and effective product development. 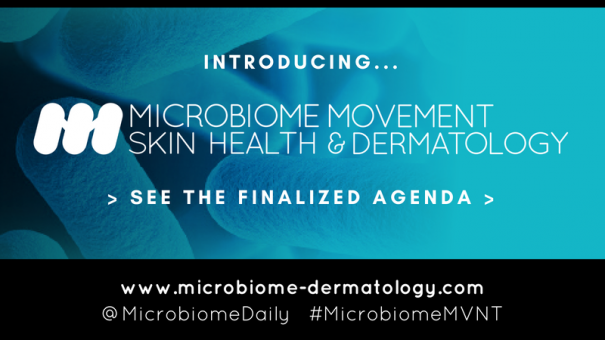 The Microbiome Movement – Skin Health & Dermatology will unite over 100 KOL’s, senior drug developers, cosmetic product developers & technology experts to harness the skin microbiome and accelerate the discovery, development & commercialization of dermatological therapeutics and the next-generation of cosmetics, founded on clinically validated data. Join key decision pharma, biotech, cosmetic and consumer health companies to unlock the potential of the skin microbiome through sharing insight and case studies around best practice.